A boiler is a plumbing appliance that heats (and occasionally boils, though that’s not the purpose) water. It’s often confused with a furnace, which is for only high-temperature heating. This plumbing appliance uses wood, coal, oil, natural gas, or resistance heating elements to heat water. This is for various uses around your home, including cooking, showering, and central heating. Three different types of residential boilers are common. This list includes components of a combination boiler, system boiler, and regular boiler. However, each heating appliance has basic plumbing components that Warner Service outlines below. It’s important to recognize that boiler parts divide into mountings and accessories, auxiliaries, and safety protections. 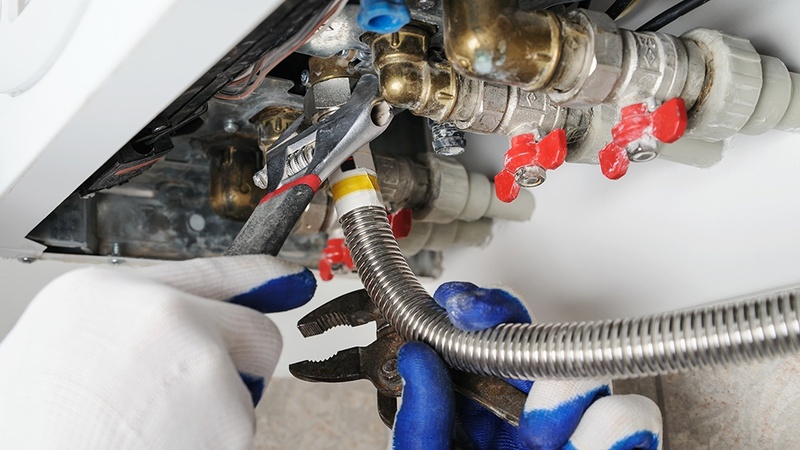 Ask your preferred local plumbing technician for details about how the boiler benefits from a thorough inspection and regular boiler maintenance. Note: As always, follow the boiler manufacturer's recommendations for optimal performance. Don't attempt any boiler maintenance if you're unclear of the directions. Call a plumbing professional for help.